Older news stories can be found in the News Archives. Vegas Party, a fast-paced gambling-esque party game set in an over-the-top version of Las Vegas city is scheduled to be launched on Nintendo Wii this February 2010. You'll enter the gambling-friendly universe of Las Vegas city, complete with bright lights, sassy caricature characters and the occasional hustler! Mini-games include darts, blackjack, roulette, Texas Hold 'Em and slot machines, and are quick versions which are easy to master. Make no mistake though, you'll still need luck to win! You'll have the choice of playing 'Quick Games' to practice your skills, or 'The Strip' - a board-game style race for four players. Reaching the end of the Strip before anyone else is trickier than it sounds; players are at the mercy of the dice, penalty squares and mini-games, any of which can send you into the lead, or back to the start. Manage your token account, avoid dangers like twisters and earthquakes, test your gaming skills and push your luck, but remember – you can lose it all on one bad call. Vegas Party is a fun, fast party game for one to four players and is open to all skill levels. The 10 unique mini-games are loaded with additional gameplay, and the 15 casinos on 'The Strip' each have their own unique themes – from Aztec to Area 51. Vegas Party is due for release this February on Nintendo Wii. Multi-platinum selling and Grammy Award winning group Green Day are getting their very own Rock Band game. Green Day joins a small elite group of rock's greatest bands to have their own dedicated music game (others are The Beatles, Aerosmith, Metallica and AC/DC, with an upcoming U2 version doing the rumour rounds). Green Day: Rock Band will feature likenesses of Green Day members Billie Joe Armstrong, Mike Dirnt, and Tré Cool, as well as select venues and art specific to the band's history. While the track list will be fully exportable on the Xbox 360 and PlayStation3 versions, giving players the opportunity to play the songs in Rock Band and Rock Band 2, this feature doesn't seem to be available on the Wii. The game will be available globally in 2010, although no specific date has been announced yet. After the LEGO Star Wars, Indiana Jones and Batman adventures, Harry Potter is the next hero in line for a LEGO makeover. LEGO Harry Potter: Years 1-4 is based on the first four Harry Potter books and movies that tell the story of Harry's first four years at Hogwarts School of Witchcraft and Wizardry. LEGO Harry Potter: Years 1-4 will give you the chance to experience the magic and adventure of Harry Potter in a new and uniquely LEGO way. Playing as Harry Potter, Ron Weasley and Hermione Granger, as well as other favourite characters, you'll have the opportunity to attend lessons, cast spells, mix potions, fly on broomsticks and complete tasks to earn house points. Throughout the game, you'll also have the freedom to explore iconic settings from the wizarding world including Hogwarts castle, Diagon Alley, the Forbidden Forest and the village of Hogsmeade! Need for Speed Nitro is now available to play on Facebook for Free. Race against your Facebook friends with full 3D model cars customised with your very own artwork and personal tag! The Facebook application includes the cars and cities from the hit Wii game that was released last month. Storybook Workshop is a new story time software game for children and their parents, offering 16 classic children's fairy tales and fables and many other exciting features. The game uses a USB microphone that comes included, allowing you to read along, record and play back readings of your favorite stories, including the most popular tales from Hans Christian Andersen, the Brothers Grimm, and Aesop. Storybook Workshop's unique microphone functionality changes your voice to sound like the characters in the stories, including fairies, giants and robots. The game also features a lively sing-along room where nursery rhymes come to life, and you can watch as your children learn rhythm, language, numbers and shapes in the exciting Play & Learn mode. You can also track your child's progress by using a virtual sticker pad, which will get pre-schoolers excited and motivated to continue to read and complete the stories. 1.5 Million Nintendo Wii consoles were sold during Thanksgiving week, showing the continuing strength of the Nintendo Wii platform. With games like Super Mario Bros., Call of Duty: Modern Warfare Reflex, and James Cameron's Avatar all being released in time for the holiday season, the Wii looks like it may be in for another bumper Christmas! Award winning Japanese anime film Sky Crawlers is coming to the Wii as a flight simulation game called "Sky Crawlers: Innocent Aces". Using the same award winning anime production style, Sky Crawlers: Innocent Aces will bring high flying fighter action to flight sim fans. The game is being developed by the team behind the hugely popular Ace Combat series and will push the Wii hardware to the extremes of its capabilities, delivering an impressively hi-fidelity rendition of intense arcade-style aerial combat. The Wii Nunchuk will be used as a joystick to control the planes in flight, and the high altitude action will be supplemented with over 30 minutes of gorgeous anime cinematics. Sky Crawlers: Innocent Aces is due for release in February 2010. The complete Sgt. Pepper's Lonely Hearts Club Band album is available for download from the The Beatles: Rock Band Music store from today. As is normal with the Rock Band Wii store, you'll need to download each track individually for 200 Wii points per track in order to make up the full album. We reported a few months ago on the upcoming SimAnimals Africa game which lets young players get up close and personal with the beautiful African wildlife . In SimAnimals Africa, you'll get to tame exotic animals including lions, gorillas and elephants by befriending, petting, playing and even controlling their movements as they explore landscapes like savannas, jungles and river deltas. Each brand new animal has their own unique skill and it's up to you to find their secret abilities. Kicking zebras, rock-breaking rhinos and crocodiles that excel at hunting are all part of the cast of characters that will help you to keep the environment happy and unlock new areas, animals, and special items. 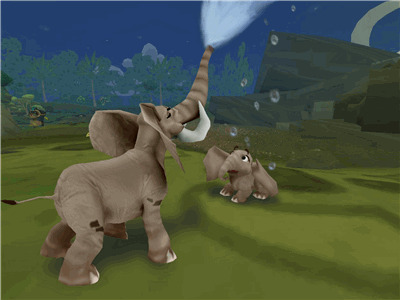 Mini-games will give you more ways to interact with the animals. The ring toss, drumming, and petting games will help your animals hone their unique skill and assist you in achieving their goals more quickly. SimAnimals Africa is available this week from Amazon and Amazon.co.uk , with Free Super Saver delivery and speedy delivery times. Nintendo has announced that a Limited Edition Black coloured Wii console will be released in Europe in November. The bundle will include a sleek black console, Wii remote and Nunchuck controller, and will include the original Wii Sports game, Wii Sports Resort and a Wii MotionPlus adapter . The bundle will be available in the UK and Ireland on 6th november and the rest of Europe from 20th November. You can learn more about Wii Sports, the Wii mote controller, the Wii Nunchuck controller, and the Wii MotionPlus adapter by clicking on the links. Well, pre-orders for the game are proving so popular that the game's publishers are expecting stock shortages when it's released on October 30th. We Sing is currently riding high in online pre-order charts, featuring in many online top-ten lists for the Wii. The game will be available in a choice of 3 bundles including a pack containing the game, two high-quality Logitech microphones and a USB hub, a game only pack, and single microphone bundle! The hit animated movie Madagascar is coming to the Wii in the form of a kart racing game. In Madagascar Kartz you'll be able to play as Alex, Marty, Gloria, Melman, King Julien or those crafty penguins. You can power-up and perform zany jumps, outlandish flips, and radical rolls on amazing tracks from the world of Madagascar, including the New York City Zoo, the plane crash site, the volcano, and others. You'll also be able to keep an edge on the competition with cool pickups, like power boosts, obstacles, and projectiles. The Wii version will be available as a bundle, featuring a Madagascar Kartz steering wheel packaged with the game, just like Mario Kart Wii. The current price drops and great Wii console deals are going full steam ahead in the UK! Amazon.co.uk is now offering the original Wii Sports console bundle for £139.99 (down from £179.99). You'll need to hurry though as Amazon are clearing stocks to make way for the more expensive Wii Sports Resort bundles. Games and entertainment retailer HMV has just announced a Wii console bundle that includes 3 of the most popular games on the Wii and a Wii MotionPlus adapter for free. The bundle deal is available on the HMV website and costs only £179.99 for the entire package. There's some great Wii news for racing fans as it was announced that F1 2009 will be released in the UK on 20th November 09, and across PAL countries on 19th November 09. F1 will be available in the US on 17th November 09 and Japan a month later on 18th December 09. Some breaking Wii news is that Nintendo has announced that the price of a Wii console will drop to $199 in the US from Sunday 27th September. In the UK, Nintendo has dropped the wholesale price of the console to retailers but it's anyone's guess whether the full price drop will be passed on to customers. The Wii console in the UK will now also come bundled with the Wii MotionPlus accessory, Wii Sports Resort, and the original Wii Sports game. All of the original master tracks from the new Pearl Jam album, Backspacer, will be available for download from the Rock Band store from the 22nd September 09. The tracks will be imported into fans' Rock Band libraries and be accessible to all game modes, including solo, band play, online multiplayer and instrument vs. instrument. Wii owners will need to purchase each song on the album individually for 200 Wii points. Why they're not letting Wii Rock Banders buy the whole album in one single download is beyond me, but Pearl Jam is definitely worth springing for - even one song at a time! Check out the uber-cool trailer for the upcoming Spore Hero on the Wii. The original Spore game on the PC was instant hit, generating over 1 million user created creatures in the first 6 days after release, and 100 million creatures in less than a year! It has to have been one of the best weeks for Wii game releases in a long, long time! Some of the most hotly anticipated games went on sale at the end of last week, so check out the list and get shopping! The Beatles Rockband Available from Tomorrow! Yes, the Wii version of The Beatles Rockband game goes on sale around the world tomorrow. The game's received rave reviews already, and includes a full band set of guitar, bass, drums, and microphone for a full-on, 4-person rock and roll experience. The upcoming karaoke game, We Sing, is set for release on October 30th 2009, and will be available in three different formats. The most popular version of We Sing is expected to be a pack containing the game, two high-quality Logitech microphones and a USB hub – all for a similar price to the game and single microphone bundle. A solus edition will also be available, with the third format being a bumper pack containing the game, a USB hub and FOUR microphones! The Wii Internet Channel, which is the web browser you need to surf the net directly from your Wii, is now available as a free download from the Wii Shop. The Wii Channel previously cost 500 Wii points to download, and anyone who has previously bought the Wii Channel will be able to download one free NES game from the Wii Shop up to the value of 500 points. The free NES game download will be available from the end of October. This is great news for all Wii owners and opens up a whole new world on the Wii. Learn how to boost the features of your Wii console, listen to free music and play free Wii games from my Wii Internet Channel article. Coloured Wii Remotes and Nunchucks on the Way! While Nintendo DS owners have been getting their games machines in a variety of colours for years, the Wii console has stayed traditionally white since its launch. Now, Nintendo has finally announced that the first coloured Wii remote controllers and Nunchuck controllers are due for release. 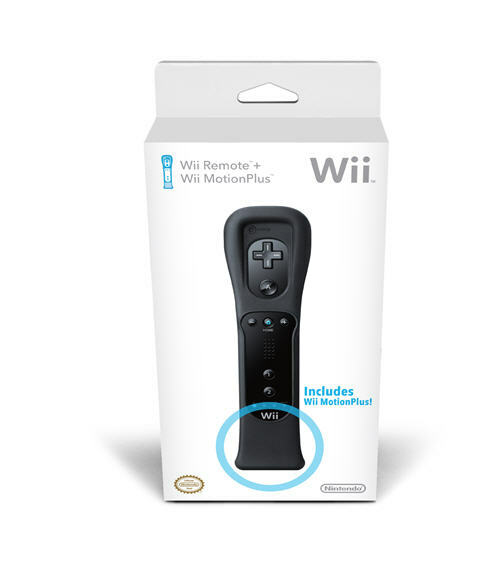 The first colour will be black, with black Wii remote and Wii MotionPlus sensors being sold together as a bundle. The black nunchuck will be sold as a standalone purchase.